The Lords of Chaos Blu-ray / DVD combo contains the Unrated version of the film (118 min) and bonus features (11 directors teasers and trailers). The single DVD includes the rated version (116 min) and no bonus features. Although there are no documentaries or behind-the-scenes featurettes included in this release, you can always visit the real Varg's YouTube channel for a running commentary on the movie and the real events that inspired the film. Inspired by a true story, Lords Of Chaos made its debut at the 2018 Sundance Film Festival before going on to impress audiences at Fantastic Fest, Beyond Fest, Fantasia Festival, and more. 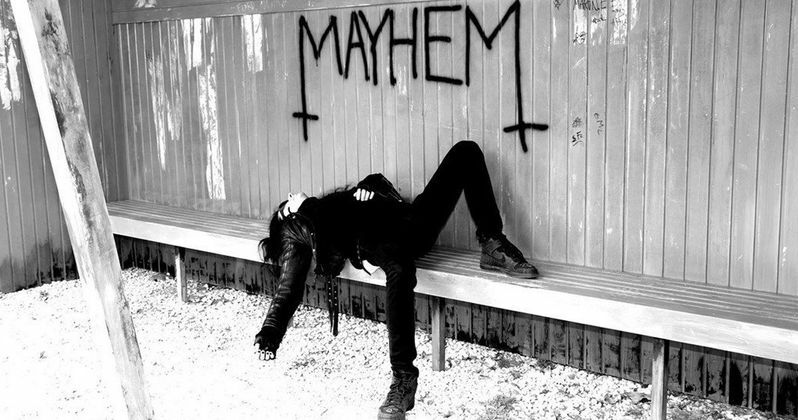 Oslo, 1987: Seventeen-year-old Euronymous (Rory Culkin) is determined to escape his idyllic Scandinavian hometown and create "true Norwegian black metal" with his band, MAYHEM. He's joined by equally fanatical youths - Dead (Jack Kilmer) and Varg (Emory Cohen). Believing that they're on the cusp of a musical revolution, the group gets even darker, driven by the black metal dogma to spread evil.